A few weeks ago, my good friend Seersucker Sass came to visit me in Nashville for a visit! I wanted to make her stay in my house comfortable and cozy. When guests come to visit, I think it's very important that their first impression is an inviting one. I was trying to brainstorm ways to make a good impression and I came up with a welcome basket! 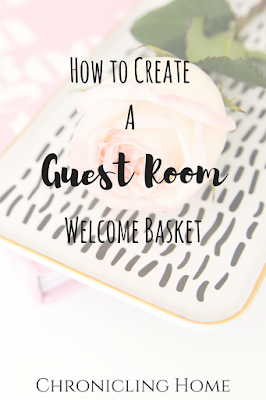 I wanted to share ideas to make a great welcome basket, because I think it went over quite well! Start with a cute little basket. I have a stockpile of berry baskets from a party I threw a while back, so it was the perfect container to put everything in! Nail Polish: I included this as a little treat for when she goes back home! I included three different colors that would be perfect for Fall. 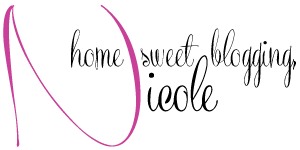 Try one of my favs in your basket: OPI Lincoln Park After Dark or OPI Not So Bora Bora-ing Pink. Dry Shampoo: Always a necessity in my opinion. My favorites are Drybar Triple Sec (seriously this is MAGIC) or Batiste Dry Shampoo in Blush. Hair Ties: These are a totally must, because everyone knows you need a hair tie on hand at all times! The cuter the hair tie, the better in my opinion. I love: Marc Jacobs Charm Hair Tie or this darling Bow Hair Tie. Face Masks: For SS, I wanted to include a fun face mask in her basket. I love the line Que Bella from Target. My favorites are Pomegranate Mask or Coconut Cream Mask. Local Goodies: I am a big supporter of local business and a welcome basket is the perfect place to include these. I like to include goodies like local handmade soaps or honey. Candy or Snack: For my basket, I put Goo Goo Clusters in since they are a native Nashville candy. Lucky for me, she loved it! My favorite thing to do is add a item that is from the city we live in. It just adds a special touch. Headache Medicine: For me, I always tend to forget medicine when I travel. Including a little travel size Advil or Tylenol in the basket. It's the little things that really pack a punch! Lint Roller: One always needs a lint roller when traveling. I feel like lint is attracted to me like a really strong magnet. Try one of these cute lint rollers: Zebra Print or Travel Lint Roller. Hairbrush: A brush is a lady's essential and sometimes when traveling it unfortunately gets left behind. The horror for sure. My favorite brush to use when traveling is Drybar Lil Lemon Drop Brush. I truly think a guest basket is the best way to make anyone feel instantly comfortable and welcome in your home! I love it and I want to keep doing it for anyone who travels to Nashville! I always put the mini trial things I get at the dentist in the guest bathroom medicine in case they forget a toothbrush, toothpaste, floss, etc.! That's genius Piper! I love that idea!